Start with listening to your employees. By receiving honest feedback from employees, you can quickly determine what it takes to engage them. You’ll be aware of what your workforce is unhappy about as well as what they value most when it comes to working for your company. The best way to receive honest feedback from employees is through employee surveys. Company-wide employee surveys are a valuable use of HR technology, and their results can yield important benefits for employee happiness and company transparency. Furthermore, with increasing emphasis on pulse surveys, companies have greater access to real-time metrics pertaining to employee engagement. Here are a handful of helpful tips for what you should look for when you’re putting together a survey for your employees. When you’re measuring employee engagement, it’s best to leave room for employees to elaborate on specifics pertaining to their survey response. Human resources professionals need to hear about the details that make up worker safety and wellness, so it’s helpful to include some open-ended inquiries such as, “What can the company do to increase employee success?” With open-ended questions, employees get the opportunity to voice their opinion without any restrictions or influences. You’re aiming for 100 percent participation in your employee engagement survey, and as leadership author Bob Herbold points out, anonymity is the best way to assure this. Quality HR technology software increases employee accountability by making sure that everyone has participated, while at the same time keeping individual responses private. It can also be useful in some cases to tailor the content of each survey to individual departments. Many companies are looking to quickly institute their survey initiative, resulting in a survey that is narrow in its scope. According to USC research scientist Alec Levenson , this mistake can have major consequences when tallying the results of employee surveys. Typically, it exists when a company aims for simplicity by averaging each person’s responses into one single index number. Levenson explains that this number ends up being meaningless because it doesn’t lead to actionable insights. For this reason, it’s essential that each surveyed topic be analyzed separately. Of course, when you give out an employee survey, you’d like to see nothing but glowing praise and complete employee alignment with your organization’s mission and values. In the real world, however, you’re going to hear from some team members who are less than thrilled with the status quo. Research on surveying shows that 48 percent of disengaged employees say that they “would stay with a company that asks them what they want and puts that feedback into action.” Don’t forget that the main reason behind pushing out an employee survey is to discovers areas your business can improve on to boost employee engagement and happiness. Make sure to include questions about employee engagement that you are truly willing to address which will help course correct your company culture onto the right path. Partnering with a professional survey provider yields numerous benefits and will yield a strong ROI in your employee retention and employee transparency numbers. You don’t have to reinvent the wheel, Monster.com points out that experts in the survey field can give you valuable benchmarking data for your industry. It’s helpful to know where you stand with respect to your competition. The next time you decide to send a company-wide employee survey out, consider our list of five things to consider when crafting effective employee surveys. Instituting regular employee surveys is the best way to create a responsive work culture. With regular feedback being provided by your employees, you’ll have the opportunity to quickly address any negative aspects of your company culture. This in turn will help in recruiting and hiring top talent, thus ensuring your company’s long-term financial health. Are you ready to listen to your employees? Get started with Achievers Listen, the future of employee engagement. Achievers Listen allows employees to provide feedback to management on day-to-day issues via check-ins and pulse surveys, and lets front-line supervisors track trends through manager alerts. Also included with Achievers Listen is Allie, an intelligent, digital “coach” that interacts with employees in a familiar conversational way, while guiding employees with effective feedback and providing recommendations back to managers. People are always complaining about their jobs; whether it’s a boss who drives you up the wall, work that bores you to tears or even the nagging suspicion that you’re being underpaid, each unhappy employee has their own reasons for dreading a Monday morning. But when all this unhappiness and discontent gets added up, it turns out it’s having a profound impact on economies everywhere: we’re in the midst of a global employee engagement crisis, with just 13% of employees worldwide engaged with their jobs. So what exactly does this mean? An easy way to think about employee engagement is to look at your existing staff. Engaged staff are often your best performing employees – they’re efficient, motivated, understand their role and tackle it to the best of their ability. Naturally, we think all employees will be like that when we hire them – otherwise, why bother? During job interviews, most candidates are very enthusiastic about the job on offer and if you hire them, it’s normally this enthused and engaged person that you actually want working for you. Yet if you find yourself looking at that same excited candidate a year into the job and seeing that they’re unmotivated, checked out and unhappy, it’s clear that they’ve become disengaged. If that’s the case with many of your employees, you might have a problem brewing. Luckily, by focusing on employee engagement and happiness, you can revive even the most lifeless of workforces. Read on to find out about the top benefits of employee engagement, along with some tips on how to improve it throughout your business. Disengaged staff are slowly draining the life out of your business. In the UK, employee disengagement is costing businesses around £340 billion every single year in lost productivity, while in the USA Gallup estimates this figure rises as high as $550 billion. It’s easy to see how – if you’re paying someone to do a job and they’ve only put in half the effort necessary, they’ll still get paid even if you don’t get the results you need. As for very disengaged employees (often easily identified by their miserable and disruptive attitudes), you may as well be giving money away. Employee disengagement can easily decimate the return on investment on salaries. On the other hand, engaged employees will improve your profitability and drive revenue. In fact, workforce opinion surveys show that highly engaged employees can boost business performance by 30%. This is because engaged employees are emotionally committed to their company, its values and its goals. They want the business to do well and will do their best to help it succeed. The hard numbers prove this too – companies with engaged employees outperform those without by 202%. Luckily, there are ways you can help to foster this sort of commitment. For instance, people who are bored to death at their jobs are unlikely to care about it much, whereas 78% of employees who say their companies encourage creativity and innovation are committed to their employer. It’s easy for businesses to get into a “this is how we’ve always done it” rut and resist change, but data like this shows that this attitude is detrimental to employee engagement. Instead, actively encourage employees to innovate and explore new ways to do things. They’ll enjoy their jobs more, be more committed and help to power your business forwards. Did you know that whenever a staff member leaves, it can cost 33% of their salary to replace them? Hiring recruiters is expensive, but even if you look for someone independently you’re going to need to spend valuable time and money on advertising the position, and screening and interviewing candidates. And that’s not the end of the problem – it’s unlikely a new person will be as comfortable in the role as their predecessor – they’ll require training and time to acclimatize to their new job. In fact, a new employee can take up to 2 full years to reach the same level of productivity as an existing staff member. In the vast majority of circumstances, that’s going to mean some degree of lost productivity. It’s clearly in a business’ best interests to retain as many of their staff as possible, but with widespread disengagement becoming more and more of a problem, employees are more likely to leave their jobs than ever before. A job for life has become a thing of the past. Estimates vary, but research suggests that as many as 51% of employees were looking to leave their jobs in 2017. And for those who are worried about employees being poached by recruiters and competitors, you might have reason to be paranoid – 81% of employees would consider leaving their current role for the right offer. Employees feel frustrated at a lack of recognition in the workplace, with 57% feeling that they’re not recognized for their progress. Bad managers are driving employees to leave, with 50% of people having left a job to get away from their boss. A lack of recognition kills motivation – 70% of employees say they’d work harder if they felt their efforts were better appreciated. With this in mind, who you hire as a manager and the way you train them is absolutely vital for employee engagement. Audit your existing managers to ensure that they’re fit to lead, and be selective when hiring new ones. An effective manager prioritizes supporting their staff, leaving employees feeling far less disenchanted with their jobs. Furthermore, by implementing company-wide recognition programs, staff will feel more appreciated and motivated to work (rather than just motivated to find a new job). As Albert Einstein once said, “The best creative work is never done when one is unhappy.” This remains true in the modern workplace, with overall productivity increasing by 20-25% when employees are engaged. Too much work decreases productivity by 68%, as completing the work starts to feel like an impossible task. 57% of highly stressed employees are disengaged, compared to 10% of employees who report low stress levels. It’s clear that stress is not an effective motivator. Instead, take a positive and constructive approach to each employee’s work to ensure that workloads are manageable. Implement effective and personalized feedback and communication structures that allow employees to raise any problems they’re having in a non-judgmental setting. Happy employees create happy and satisfied customers, and the numbers prove it: companies with a formalized employee engagement program enjoy 233% greater customer loyalty. It makes sense, really – if you’re unhappy at work, the last thing you want to do is have a chirpy, helpful conversation with a customer. It’s worth noting that part of the reason for this is that engaged employees are often well-trained employees. Far too often, companies neglect thorough training programs in favor of ad-hoc and informal “on-the-job” style training. This sort of training often delivers inconsistent results, with employees feeling they lack the skills and knowledge to perform their role properly: 28% of employees feel they’d be more productive with better training. Meanwhile, employees who have received comprehensive training deliver superior customer service and achieve better results for their company. For salespeople, formal and dynamic coaching can improve their win rates by 28%. Furthermore, a lack of training frustrates employees and gives the impression there’s little room for development in their current role. Indeed, ongoing employee development programs beyond initial training periods are absolutely crucial; in a survey by CV Library, 31% of respondents cited a lack of development opportunities as the top reason for wanting to quit their job. If you want engaged employees, you need to invest in their future. After all, you stand to benefit too! At the end of the day, your employees are more valuable and important to your business than any other asset. People spend a third of their lives at work, and it’s in your best interests to make sure they’re not miserable that entire time. Management shouldn’t be about forcing as much work as possible out of employees at any cost. You want employees that are happy at work & want their company to succeed, rather than someone who’s looking for a quick exit because they’re unhappy. By prioritizing employee engagement, you can enjoy all the above benefits: greater profits, lower turnover, more productive employees & happier customers…It really is a win-win situation! To learn more about the importance of employee engagement, take a look at Achievers white paper The True Cost of Employee Disengagement. Becca Armstrong is a content writer for MadMax Adventures, a purpose build outdoor activity center near Edinburgh, Scotland. They run corporate away-days for businesses that want to improve organisational performance by developing more cohesive teams, rewarding high performance or building relationships with valued customers. When businesses need to balance the books, they tend to cut corners in areas where they find it difficult to prove a return on investment. For this reason, employee development is often an aspect that gets hit – if not by outright budget cuts, then by general neglect and a lack of increased investment. While a ROI on employee development programs can sometimes be difficult to prove, making increased investment tough to justify, it is an area where businesses get out what they put in. Below, we take a look at how neglecting your employee development programs can negatively impact your ROI. The primary reason for investing in employee development programs for your employees is to provide them with the knowledge and skills they need to carry out their tasks. However, there are many ripple effects as well, ranging from improved productivity amongst those who are well-trained, to a competitive advantage over your rivals. Of course, the value of employee development also extends to the customer as well. Generally speaking, organizations that invest in comprehensive development programs can expect to see a higher number of sales, as well as improvements to customer retention resulting from superior service. When people think about staff development, they often view it as a synonym for training, but continuous coaching also has a role to play. Indeed, the CSO Insights 2016 Sales Enablement Optimization Study found that formal and dynamic coaching processes improved sales reps’ quota attainment by as much as 10 percent. One of the biggest effects of neglecting the development of your employees comes in the form of staff turnover. There is a direct link between the amount of time and money you invest in development, and the likelihood of staff members choosing to leave your organization. For example, businesses on the Fortune 100 “Best Companies to Work For” list provide almost double the number of training hours for full-time employees compared to companies that aren’t on the list. Those Fortune 100 organizations saw their ROI manifested in increased employee retention; they had 65 percent lower staff turnover than other businesses in the same sector. In the CSO Insights 2015 Sales Compensation & Performance Management Study, it is revealed that turnover is five times higher among sales employees than the US national average. This is problematic, because a single salesperson leaving an organization has the capacity to disrupt that organization for up to a year. Essentially, what this shows is that neglecting your development programs decreases your overall return on investment, while investing fully in development programs results in a much greater ROI. Crucially, however, it is not simply investment that wins the day. Continuous employee development is a vital part of talent management, meaning that development programs must be in a constant state of evolution, adapting as products, services, business practices and market conditions change. Neglecting employee development by failing to update procedures, can result in outdated product knowledge, longer ramp up times and a competitive disadvantage when compared to other businesses in the same industry. Worse still, neglecting development by putting it off completely can result in poor morale and unskilled staff. Finally, it is crucial that investment in employee development extends beyond new hires, to experienced staff members. According to the 2017 CSO Insights Sales Manager Enablement Report, those who spend more than $5,000 per year on developing sales managers see increased quota and revenue attainment, and improved win rates. Nevertheless, sales managers are three times more likely to receive no training at all than salespeople are. Staff development programs require significant investment, both in terms of time and money, as they must be high in quality and evolve along with business practices and market conditions. However, employee development is also an area where it can be difficult to prove a clear ROI, which is why it is often neglected. While the most obvious form of neglect is the reduction or removal of development services, it can also manifest as a lack of increased investment when it is needed to meet business demands. Yet, high-quality coaching and training have clear benefits when it comes to improving win rates, as well as revenue and quota attainment. The consequences of neglecting employee development are numerous and include lower levels of customer retention, out-dated product knowledge and poor quality customer service. Additionally, there is a direct correlation between training provisions and staff turnover, with neglect resulting in more employees leaving a company. For these reasons, neglecting employee development has a detrimental impact on your ROI. The only way to generate the right level of return from your employee development program is to invest sufficiently, spend ample time on development practices and ensure development is continuous, rather than being targeted exclusively to new hires. To learn more about employee retention, check out this fun infographic 6 Stats That Speak to Employee Retention. Monika Götzmann is the EMEA Marketing Director of Miller Heiman Group, a global employee development and sales training firm. It helps organizations develop effective talent management strategies through talent ready assessment. She enjoys sharing her insight and thoughts on talent management strategies and best practices. How do you effectively engage over 10,000 employees? This was the challenge presented to Smart & Final, a major chain of warehouse-style food and supply stores. Smart & Final has over 10,000 employees and approximately 211 stores in 5 states. Their previous employee recognition strategy consisted of a ubiquitously disliked service awards program that was perceived by employees as being impersonal and demotivating. This type of employee experience was unacceptable and something had to be done about it. The Smart & Final team took on the huge task of overhauling their employee recognition strategy and finding a new way to boost employee engagement across the entire organization. With 66% of HR leaders currently updating their employee engagement and retention strategies, Smart & Final is not alone. Companies worldwide are finding immense value behind putting more time and resources into employee recognition and engagement programs. For starters, 60% of best-in-class organizations have stated employee recognition is extremely valuable in driving individual performance and 50% of HR leaders said that an increase in employee recognition would boost employee retention. If that isn’t enough, a 1% increase in employee engagement equates to an additional 0.6% growth in sales for companies. 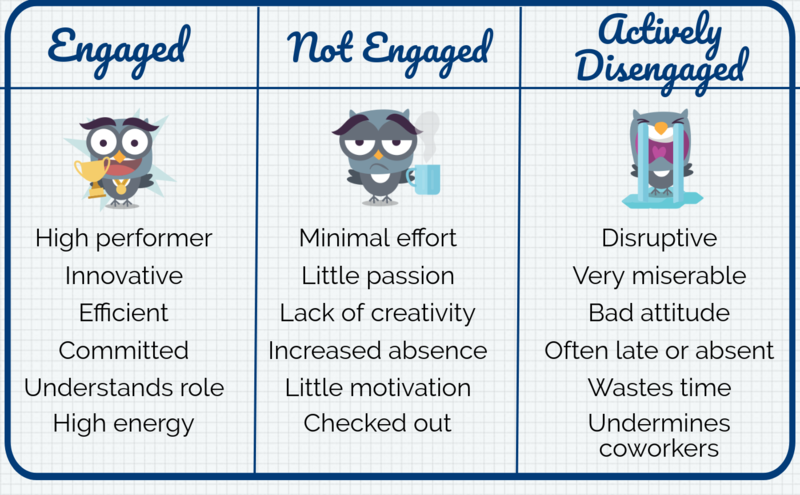 How are you currently engaging employees? Is it working? Are you successfully measuring employee engagement at your company? Would you consider your company culture positive or negative? How often do employees recognize colleagues at your workplace? Are your employees overall happy at work? If you are unsure how to answer the questions above or unsatisfied with your response, it might be time to join the 66% of HR leaders who are updating their employee engagement and retention strategies. Follow in the steps of Smart & Final and start making a change to create an unbeatable impact on employee engagement. To learn more about Smart & Final’s Spotlight program and HR success, download Smart & Final’s case study. If you’d like to learn more about another employee engagement success story, check out 4 Strategic Drivers of General Motors’ Adoption of Recognition Technology. Kellie Wong is the Senior Editorial and Social Media Manager for Achievers. She manages Achievers’ social media presence and The Engage Blog, including the editorial calendars for both. In addition to writing blog content for The Engage Blog, she also manages and maintains relationships with 35+ guest blog contributors. Connect with Kellie on LinkedIn. Management strategies have been evolving, over the last two five years, to favor more bottom-up measures to drive greater workforce productivity. While many Best-in-Class companies are retaining and using labor investment resources in payroll and compensation management, many of their peripheral Human Capital Management (HCM) investments are moving away from pure labor cost quantification to favor goal-based platforms in rewards and recognition. Are you currently offering incentives, such as rewards and recognition, to your employees? With the inherent uniqueness of the individual in the corporate workforce, it is a virtual impossibility to find a one size fits all approach to incentivizing employees. An unincentivized employee is likely a disengaged one, meaning aspects of your business such as innovation, productivity, and retention could suffer. Furthermore, a workforce should be recognized and rewarded for embodying clearly defined corporate values or meeting specific company goals in a highly visible way, otherwise, employees may lose sight of the relevance of their work to the overall company mission, leading to disengagement and eventually attrition. In their recently published report, Tomorrow’s Management Today: Incentivizing Workforce Innovation, The Aberdeen Group further stresses the importance of instituting and maintaining a well-defined, highly visible recognition and rewards program. Specifically, the report finds that employees at Best-In-Class companies were 31% more likely to stay with their employer if they felt that their work was relevant, and visibly impacted the organization. One of the easiest ways to ensure that recogntion reinforces successes aligned with company values in a highly visable way is by investing in an HCM system that offers a robust, goal-based recogntion and rewards component. Employees shouldn’t have to guess as to what the values and goals of their given organization are, nor should it be difficult to recognize and reward them for adhering to these values in pursuit of the stated goals. These shared goals and values should be apparent to everyone in the company, regardless of job title. Difficulty in effectively communicating key corporate objectives on an enterprise-wide level, isn’t a new phenomenon; companies have long been challenged with providing granular clarity to lower-level employees. Merely, announcing these goals at a quarterly kick-off meeting or sending them out in yearly newsletter does little to align individual employees’ around these goals. Where it was once difficult to measure concepts such as productivity, innovation, etc., the continuous evolution or HCM systems, specifically those emphasizing recognition and rewards, can offer a tangible measurement as to the employees demonstrating those qualities a company values most. 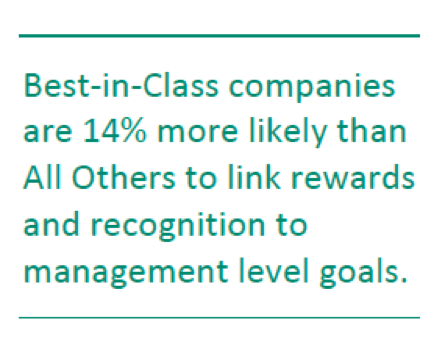 In this report you will learn how best-in-class companies are beginning to focus their peripheral HCM spend on goal-based platforms in rewards and recognition and how they are favoring bottom-up measures to drive greater workforce productivity. Now that you have a general understanding as to the major cultural shift emphasizing employee engagement, download Aberdeen’s report on Incentivizing Workplace Innovation for more information, including recommendations regarding the selection of an HCM ecosystem. Iain Ferreira is the Content Marketing Manager at Achievers. He lives in San Francisco. You can view his Linkedin profile here. Recently, there have been some eye-opening reports about the state of employee engagement, both here in the U.S. and globally. Aon Hewitt, in their 2017 Trends in Global Employee Engagement Study, found that engagement levels have dropped for the first time in five years and Gallup reported in its State of the American Workplace report that a full 70% of U.S. workers are not engaged at work. 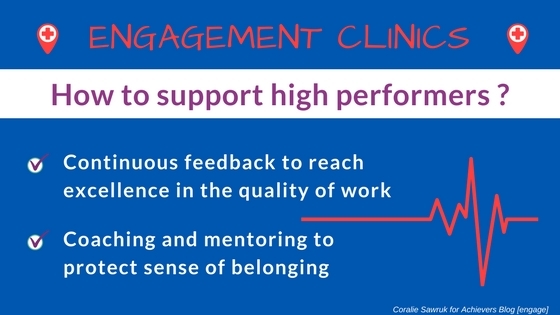 But before we all get too breathless about these admittedly disconcerting engagement numbers, it’s important to remember that employee engagement is not an end in and of itself. Engagement numbers do provide a window into the general well-being of your workforce, but more important than the raw numbers is how engagement ties back to desired business outcomes. So it really isn’t just about the score, it’s about understanding what you need to measure in order to achieve the desired business outcome. Do you know how well your engagement programs are working? How about the connection between programs that engage employees, such as employee recognition and rewards, and your desired business results? Employee engagement has become a cornerstone and calling-card of today’s most successful businesses. But instituting a haphazard or incomplete engagement initiative can often lead to more problems than solutions, as employees dutifully fill out their surveys but nothing ever seems to come of it. Enjoy 20% higher sales than industry peers with average engagement. Whether your measure for success is better employee retention, improved alignment with company goals, or increased revenue, your journey begins in first knowing what to measure and how to do it well. An engaged workforce is almost always a profitable workforce. According to Gallup, companies with a well-defined culture of recognition and commitment to employee engagement have been shown to outperform their peers by 147 percent in earnings per share. Learning how to measure engagement – and what to measure – are the first steps towards realizing the engagement advantage. By measuring engagement in a number of ways and against a number of different metrics, companies can then learn what actions they need to take to improve in this important area of differentiation. Having a better understanding of what makes your organization tick can help you find a competitive edge that you didn’t know existed. In our new eBook, “Employee Engagement: Four Places to Start Measuring What Matters,” we provide four ways to effectively measure the results of your engagement programs to ensure success in areas critical to your business – such as employee retention, performance against goals, and alignment with company values. Download the eBook now and begin learning how to measure what matters! Josh is Director of Content Marketing at Achievers. An accomplished marketing and communications professional with more than 20 years’ experience in the fields of marketing and PR, Josh worked as a press secretary on Capitol Hill before moving West, and from politics into PR – and on into content marketing. Josh graduated with High Honors in History from Kenyon College and lives in San Francisco with his wife and 9 year-old daughter. In addition to work and family, he is passionate about music, politics and fly fishing (not necessarily in that order). Change is a funny thing, isn’t it? We frequently resist it, yet progress is impossible without it. In fact, we can’t really move through life without it. The desired approach for most of us is to experience change in small, bite-size chunks. Otherwise, it can wreak havoc on us when there’s too much at once and we’re not prepared for it. How do we help eliminate the resistance? Where should your change-agent-leaders focus their efforts? Start with these three tips. 1) Address the emotions first by answering the hard questions upfront, including addressing, why? We are persuaded by reason, but we are moved by emotion. Acknowledge what employees may be feeling. You don’t necessarily have to answer for it, but you can acknowledge it and lead from the front by demonstrating authenticity and optimism in response. Acknowledging and naming the feelings helps create distance between a person and a situation. It creates a moment of objectivity. Instead of, “I am afraid,” they can at last get to, “I feel afraid about what Mr. Jones shared during town hall and how it might affect my department.” It also helps those of us who may have a hard time defining how we’re feeling, to make sense of why our hearts start racing, or we get sweaty palms, or feel unsettled in response to certain news. If you have a tough change coming up – call it what it is and help employees understand why the organization needs to head in that particular direction. Our brains don’t like incomplete stories and in the absence of information, we can come to all sorts of crazy conclusions. These concocted conclusions can spin FUD (fear, uncertainty and doubt) out of control into a danger tornado that is likely to pick up your change initiative and spit it out in the Land of Oz. 2) Communicate. Communicate. Communicate. Oh, did I mention? Communicate. The amount and quality of information that is communicated to employees can influence how those employees will react (Wanberg & Banas, 2000). Running today’s ever-evolving organizations takes a lot of heavy lifting. It requires people-leaders and executives to be clear on the changes that are occurring and why those changes are taking place. AND it requires intentional multi-touch communications about said changes with all employees. Cynthia Witting shares, “There are several communication processes that impact employees’ reactions, including frequency, mode, content, and flow of communication. Gray and Laidlaw (2002) argued that the more embedded these processes are within management, the more effective the outcomes are because they enhance the quality of working relationships, harmony, and trust.” Sending out 1-2 emails about a change really isn’t enough. Ideally, there is a real-time, always-on, cross-functional, organization-wide conversation about these topics so that everyone can weigh-in equally and ask questions with transparency and without fear. This method should also provide communication scalability. In the absence of such a system, there needs to be on-going fireside chats or other means for employees to submit questions and expect real, authentic answers. 3) Employee participation in decision making. According to an Aon Hewitt research study, the number one driver of employee engagement during times of change is the ability to be involved in decision making. However, you might be thinking – if I ask them what they want or what their thoughts are, am I opening a proverbial can of worms? The reality is yes, initially it will require more work, but the outcomes of increased success and higher engagement are well worth the trouble. In fact, there’s a whole body of research available with a documented approach to making wide-spread change while engaging the whole team. It’s called Appreciative Inquiry. As opposed to the typical deficit-based mindset where everything is a problem to solve, the approach focuses on inquiries into the organization based upon what is working and what we want to do more of so that the team naturally moves in that direction. When folks have a voice – they feel heard and acknowledged. This is fundamental to creating and maintaining highly engaged employees. Particularly, in times of change. 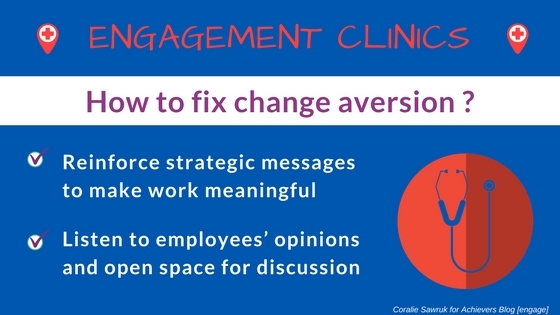 The ongoing need for change presents a tricky situation when it comes to employee engagement. While leading organizational change, you must be able to rally the troops’ ongoing support and understanding. Too much top down change at once can result in disengaged employees, which equates to a loss in productivity. When your next major change happens across your organization, consider my top three tips to help eliminate resistance and gain support. Perhaps Buckminster Fuller said it best. “You never change things by fighting the existing reality. To change something, build a new model that makes the existing model obsolete”. How has your organization effectively navigated change? We’d love to hear your thoughts! 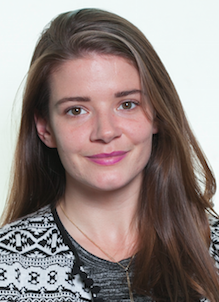 Leigh joined the Achievers Professional Services team in June 2014. She serves as a trusted advisor to HR executives, professionals and business partners for the Achievers Fortune 500 global brands in rolling out their Employee Engagement platform. She holds a Masters, Positive Organizational Development & Change from Weatherhead School of Management at Case Western Reserve University as well as several relevant certifications. You can check out her full profile here. A paradigm shift is happening in today’s workforce with the balance of power shifting from the employer to the employee. In response to this shifting playing field, employers are starting to register the power of recognition to boost engagement levels and increase productivity among their employees. But we still have a ways to go. According to a recent survey by KRC Research, workers say that an average of 50 days (nearly two months) pass between moments of recognition, while nearly 9 in 10 (87%) middle management employees feel unrecognized by their supervisors. 88% also feel unrecognized by their coworkers. With the shift to an employee-centric workplace, these recognition “droughts” should be a thing of the past. But although a greater emphasis on engagement and recognition has been underway for some time, it still feels as though we’re at the dawning of a new day. As an Account Executive for an industry leader in the employee engagement space, getting to play a role in helping to bring about this shift is personally rewarding. But let me take a step back and tell you a little about how I ended up here and why the idea of recognition is so personally significant to me. It’s Fall of 2009, and my soon to be wife, Anne, and I are sitting down for pre-marital counseling before we seal the deal (I know this is a Human Resources blog; but bear with me, I have a point, I promise). Something that has stuck with me since those counseling sessions, besides my wildly understanding, compassionate, and beautiful wife of seven years, is the topic of love languages. I had never given any thought as to what my “love language” might be until I was challenged to do so in those counseling sessions. Lo and behold, mine is “Words of Affirmation”. According to the assessment: Give me a little appreciation and recognition for a job well done and I’m good to go. How delightfully ironic (or perhaps not!) that I now work for a company whose mission it is to enable recognition and employee appreciation to happen anytime, anywhere in the world; and in so doing, change the way the world works. Given my penchant for learning and a desire to know as much about the field of employee recognition as possible, it’s no surprise I was drawn to a book titled O Great One!, A Little Story About the Awesome Power of Recognition. “O Great One,” or OGO for short, was a nickname coined by the book’s author, David Novak, who: “Thought being called Grandpa, Poppy (or any similar title by his grandchildren) made him feel old before his time. Taking a cue from his father-in-law ‘Great Jack,’ he decreed his grandchildren should address him by his new moniker “O Great One” or “OGO” for short.” O Great One! (http://www.ogothebook.com/) is about the awesome power of recognition and how we can all play a part in attacking the world’s recognition deficit. In the book, Mr. Novak tells how his interest in the idea of recognition grew from a personal experience of his – specifically, a birthday. On this particular birthday, his family gave him a gift in the form of a jar filled with strips of paper with moments of appreciation and expressions of love inscribed on them. This act had such a powerful effect on Novak that it provided the impetus for him to start a movement to attack “the global recognition deficit” – and to write a book, OGO, about the awesome power of recognition. The importance of timely, frequent recognition is further emphasized within OGO as Novak recounts the experience of “Jeff,” who recognized a problem within his grandfather’s company after taking over as CEO. The problem was a critical lack of employee recognition. With a few reluctant leaders on his team and skeptical board members, Jeff embarked on a mission to change the way his company works. You need to show people you care about them before you can expect anything from them. We have two ears and one mouth for a reason. We need to remember that there’s always someone who knows something we don’t. Great ideas are essential to a company’s success, so view everyone as a potential source of inspiration. It is the visibility and velocity of recognition that drives engagement results. What gets recognized gets repeated. Tie recognition to company goals and values. Make the recognition moments fun and enjoyable. Let’s not take ourselves too seriously! Recognition should be meaningful and should resonate on a personal level. The power of recognition does not discriminate, and all of us, no matter who we are, love to be recognized and should feel included. And the act of giving recognition is its own reward. Saying “thank you” is free, so let’s start saying it lot more. This book is about the awesome power of recognition and how we can all play a part in attacking the world’s recognition deficit. It feels great to be recognized and to give recognition. If more organizations focused their efforts on fostering cultures of recognition, both employees and employers stand to benefit in the form of incrased engagement, reduced attrition, and improved customer satisfaction. What I’ve realized after reading this book and working with Achievers and its customers, is that we truly can change the way the world works, one OGO at a time. Chris Jacobsen’s passion for sales and HR software began in Southern California where he worked with ADP. He and his wife of seven years moved to Montreal in 2010 and now reside in New York’s Hudson Valley with their 5 yr old daughter and 3 yr old son. Having worked in large and small corporations Chris is keenly aware of the power of recognition and showing appreciation for great work. Outside of helping organizations reimagine how they recognize their employees, Chris enjoys cooking, building couch forts with his kids, and running. Connect with Chris on LinkedIn. https://www.achievers.com/blog/wp-content/uploads/2017/01/priciples-of-recognition.jpg 321 845 Chris Jacobsen /blog/wp-content/uploads/2015/06/engage_logo-300x1021-300x102.png Chris Jacobsen2017-01-12 08:00:142018-02-08 13:29:56Who’s Your OGO? We’re way beyond the old paradigm of years-of-service plaques or holiday gift cards as a form of employee recognition. We know that such rewards, tied to tenure or sporadically bestowed on an individual employee for a job well done, fall short of achieving any larger goal. For employees, they do little to spur a sense of being truly valued by an organization. For the organization, they don’t spark the levels of engagement that we know drive performance and lead to desired business outcomes. Why is this an issue? Gallup research this year found that only 33 percent of US workers feel engaged at work (it’s a mere 13 percent worldwide!). That’s nearly the same figure it was 10 years ago. And even if organizations do connect recognition to driving individual performance and achieving desired business outcomes, how many have a recognition program that actually works? Achievers’ 2015 “The Greatness Gap” survey of the North American workforce found that most employees are far from satisfied with how, when, or why they receive recognition — if they do at all. They don’t feel they are recognized at their preferred frequency (41%) or get a manager’s in-the-moment feedback (60%) They don’t feel recognized for making progress (57%) or achievements (53%). Based on these findings, disengagement, not engagement, seems to be the rule. But this gap is more than just a gap in driving engagement via feedback. It represents lost intelligence on how to improve the employee experience and better align it with business goals. To play an effective role in an organization’s success, a recognition program needs to serve a powerful strategic function for both employee and employer. that can be customized into any format, platform and frequency. and can be tailored to meet individual employee preferences. but “learns” from even the delivery of a “smile” emoji or an e-thanks. While also recognizing employees for “softer” contributions & achievements as well. and enables uphill, peer-to-peer, team-to-team, and intrateam recognition as well. but always feels local and human in scale and tone. while pinpointing gaps and trouble-spots as well. A strategic program of recognition builds engagement — and therefore has a positive impact on retention — supports talent management, and is closely tied to business goals. It is also the foundation of a cohesive, supportive environment. It also looks at the future as well as the present. It may be further refined to fit organizations shifting to more autonomous, team-based structures — a coming workplace shift identified by Deloitte’s 2016 human capital research. Or it may already be addressing profound shifts in workplace demographics (4 generations working together) and geography (global organizations with multiple hubs). How long does it take for a strategic recognition program to take root and deliver game-changing results? Shop Direct, a multi-brand digital online retailer with some 4,500 employees, launched its highly successful recognition program across multiple global sites two years ago and it is already being credited with having a major positive impact across the entire organization. Shop Direct’s Shine program was designed to reinforce the organization’s purpose (to “Make good things easily accessible to more people”) and values (Trusted, Together, Proud, Ambitious, Innovative), and to drive performance. The program enabled instant recognition and rewards across multiple sites. And with features like at-a-glance data and in-the-moment messages, it soon turned into a keen motivator that has boosted engagement levels by 14%. But perhaps the clearest indicator of success has been the high level of adoption that the program has achieved. In less than one year, Shop Direct employees had sent more than 355,000 recognitions, and activation rates stood at an impressive 97%. Shop Direct has since garnered multiple awards for its innovative thinking — including being ranked as one of Achievers 50 Most Engaged Workplaces. Likewise, communication and network services giant Ericsson (managing some 2.5 billion subscribers globally), needed a strategic solution to its employee recognition challenge. The platform had to be able to connect over 15,000 employees in dozens of hubs across North America — and improve on existing manual recognition programs. After implementing the Achievers solution, Ericsson’s HR team was able to automate recognition among geographically-dispersed employees, track program spend (without once going over budget), and use program data to link recognition to business results. Employees enthusiastically embraced it, making it the most widely-utilized “voluntary” enterprise platform the organization had ever implemented. If no man or woman is an island, no employee should feel like he or she is working alone. Whatever job we do, we all want to be appreciated. What’s most profound about a truly strategic recognition program is that is answers that very basic human need. But all the while, it’s an incredibly powerful driver — and monitor — of a much larger success story: the organization itself. That’s a win for everyone. Check out Meghan Biro’s second guest blog post It Takes a Recognition Culture to Spark Engagement. Meghan M. Biro is a globally recognized Talent Management and HR Tech brand strategist, analyst, digital catalyst, author and speaker. As founder and CEO of TalentCulture, she has worked with hundreds of companies, from early-stage ventures to global brands like Microsoft, IBM and Google, helping them recruit and empower stellar talent. Meghan has been a guest on numerous radio shows and online forums, and has been a featured speaker at global conferences. She is a regular contributor at Forbes, Huffington Post, Entrepreneur and several other media outlets. Meghan regularly serves on advisory boards for leading HR and technology brands. Meghan has been voted one of the Top 100 Social Media Power Influencers in 2015 by StatSocial and Forbes, Top 50 Most Valuable Social Media Influencers by General Sentiment, Top 100 on Twitter Business, Leadership, and Tech by Huffington Post, and Top 25 HR Trendsetters by HR Examiner. Employees are arguably the most important component of a successful business. Employees put a human face on the product, build relationships with customers, and define the work culture that feeds business performance – yet 32% of companies struggle to retain top talent. What defines an effective retention strategy varies from business to business, but there is one common element that has been found to work across most business types and sectors: employee recognition. In fact, a recent Achievers’ study found that employees have a deep desire for recognition, with 93% hoping to be recognized at least once a quarter. In addition, 75% of employees who received at least monthly recognition (even if informal) reported being satisfied with their jobs. And finally, in a recent Harvard Business Review study, 72% of respondents ranked recognition given for high performers as having a significant impact on employee engagement. With these kinds of numbers, it is clear that both employees and employers stand to benefit from a well-executed employee recognition program. As we approach the end of 2016, this is the perfect opportunity to define the tone for the New Year and reflect on the importance of employee recognition for businesses. To help set the groundwork for a successful 2017, we present to you five revealing HR stats that prove the value of employee recognition. Workplace loyalty is not derived from a job; it is nurtured through a fulfilling career. 78% of employees would stay with their current employer if they knew they had a career path instead of just a job. With employee recognition, you can motivate and identify core competencies to help develop career paths for employees in a positive and organic way. Goals can be daunting: understanding the progress made towards attaining them makes them seem more manageable, and 32% of employees agree. Employee recognition isn’t just for the big wins; it’s an excellent way to support progress and provide encouragement by giving employees feedback every time they move one step closer to completing their goals. People work hard to cultivate their skills, and 53% of employees say respect for their knowledge and experience is their top expectation of leadership. An employee recognition platform allows both leaders and peers to publicly praise employees for their expertise, providing the employee with further motivation to develop it further. Employee recognition doesn’t require a huge commitment. In a recent survey of 1,000 U.S.-based, full-time employees 75% of employees who were recognized by their manager once a month – which is a good cadence to check in on progress to long-term goals – reported being satisfied with their job. While 85% of those that were recognized weekly reported being satisfied. The more satisfied your employee is, the more engaged they will be, and the more likely they will stay with your company for the long-term while producing stronger results. Unnervingly, nearly two-thirds (61%) of employees don’t know what their company mission statement is. An employee recognition program, clearly linked to a company’s mission and values, is a great way to align employees around those values. By praising and reinforcing behaviors and outcomes that line up with and support the company’s mission and values, employees are inspired to live and breathe those values every day. This in turn helps to build a unified corporate culture and makes clear to individuals how their work helps the company to achieve its goals. Retaining employees is about establishing reciprocal loyalty, making their jobs feel meaningful, and supporting and encouraging their professional development – one of the best ways to do all of these things is through employee recognition. When a company demonstrates its commitment to supporting and recognizing its employees, they will be rewarded with engaged employees who are dedicated to contributing to the company’s mission and bottom-line. To discover more eye-opening HR stats and learn more about the correlation between recognition and retention, check out our white paper: The Greatness Gap: The State of Employee Disengagement. Also, don’t forget to check out our cool infographic highlighting these 5 eye-opening HR stats. Sarah Clayton is the Communications and Campaigns Specialist at Achievers, where she focuses on generating content to drive desired recognition behaviors and engagement on the platform. How important is it to have inspirational leadership versus average leadership? The answer: Very important. According to Great Leadership, organizations with the highest quality leaders were 13 times more likely to outperform their competition in key bottom-line metrics such as financial performance, quality of products and services, employee engagement and customer satisfaction. Which is why it should be mission-critical for businesses to focus on developing inspirational leaders to improve company culture, teamwork, performance and bottom-line results. CEOs are focusing on leadership development opportunities for their workforce more than ever to maximize business performance and encourage their employees to reach their full potential. Gallup estimates that managers account for at least 70 percent of the variance in employee engagement scores across business units. The same study found that managers with high talent are more likely to be engaged than their peers: According to Gallup: “More than half (54%) of managers with high talent are engaged, compared with 39% of managers with functioning talent and 27% of managers with limited talent.” With numbers like these it’s clear to see why it’s so important to foster proper leadership development, so those leaders can in turn inspire their employees, driving engagement and leading to better business outcomes. So what exactly does it take to become an talented and inspirational leader? There have been countless books written on the subject of leadership, but the secret to being a strong leader is not in a chapter of any book, it is having a passion for leadership. Having the passion for leadership isn’t something you can just learn or pick up over time – it is built within your DNA and motivates you to get up every morning and make an impact. But there are some proven ways to bring out the leader in you. Identify a role-model. For example, Bill Gates or Richard Branson, to name a couple current examples that instantly leap to mind. But they don’t necessarily have to be famous – think of any successful leader in your life who inspires you daily and aligns with the type of leader you want to be. Start exemplifying their leadership behaviors, whether it’s being more supportive, positive, fair, consistent, transparent, appreciative, or all of the above. It’s important to look up to someone – every leader had another leader to look up to at one point in their life. This step sounds cliché, but is absolutely true. You should always lead by example and practice what you preach. No leader is effective or taken seriously if they can’t act on their own beliefs or practices. Leaders need to actually lead the way, versus just talking the talk (and not walking the walk). Take care of your people, from hiring to training, support and development and career pathing. Your team needs to feel the love when it comes to the full employee experience. It’s not always just about getting work done – it’s about feeling valued, appreciated and taken care of. First and foremost, hire the right people with the right attitude and who are passionate about what they do. You want to build a team that meshes well together and shares the same values as the company, then train them well, starting with a strong, structured onboarding program. And of course, always provide a supportive, empowering environment for your team to thrive. Allow employees to learn from failures and celebrate their successes with frequent recognition and rewards. It’s as simple as that! Business is business, but you have to make time to play and have fun. It makes all the difference when you enjoy what you do – people can see when someone loves what they do and your positive energy will only benefit the workplace. Also, according to the Center for Creative Leadership, 70 percent of successful executives learn their most important leadership lessons through challenging assignments. Consider taking an out-of-the-box approach with challenging assignments to make them more fun. 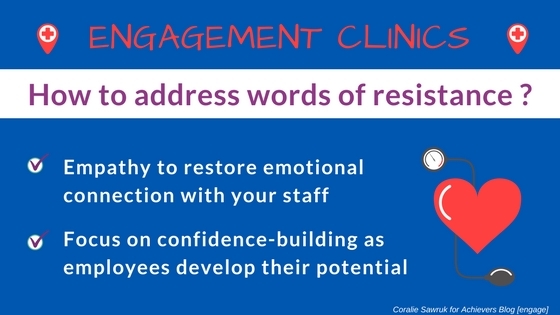 Not only do these five keys result in better leadership, but they also have the side benefit of increasing employee engagement. Inspirational leaders take the time to inspire, support, listen and identify opportunities for their team. According to The Harvard Business Review, developing strengths of others can lead to 10-19 percent increase in sales and 14-29 percent increase in profit. As an inspirational leader, you can effectively engage your employees and develop their strengths for more successful business results. If you act upon these five keys with genuine interest, honesty and sincerity, you will become a more inspirational leader, foster strong and meaningful relationships and improve your bottom-line. With 51 percent of employees reporting that they are not happy at work (see our latest infographic), companies clearly need more inspirational leaders to boost employee engagement and retain top talent. Want to learn more about the current state of employee disengagement? Download The Greatness Gap: The State of Employee Disengagement White Paper. Marci Peters began her 20+ year Customer Experience & Contact Centre profession in the telecom space, but she has spent the last four years with Achievers – Changing the Way the World Works. She believes strongly that customer needs shape the business and employees are your most valuable investment. She has a proven track record in tactical execution of strategic customer initiatives to transform service delivery and drive positive results. View Marci Peters’ LinkedIn profile here.